Louis Vuitton has a solid range of shoe options like the Archlight trainers for ladies, and recently launched the Run Away sneaker, an additional shoe for men to personalise 13 different zones on the sneaker with a choice of colour, materials, and even the addition of initials that can be done over at LV’s Marina Bay Sands boutique. So it makes perfect sense that the French luxury house now has a shoe bag as well, that’s known as the Monogram Canvas Shoe Pouch. One that will keep your footwear secure whilst still looking good, it measures some 45 cm by 23 cm and is finished with a natural cowhide leather handle and trim. Opening via an end-to-end zip, it will fit a nice pair of sneakers within the 15.5 cm wide body. The other great thing about the bag lies in its functionality. Furnished with an adjustable handle, you can even carry it with you out on days to the gym when all you need is a pair of shoes and a couple of mini toiletry bottles. The Shoe Pouch can also be folded flat when it is not in use. 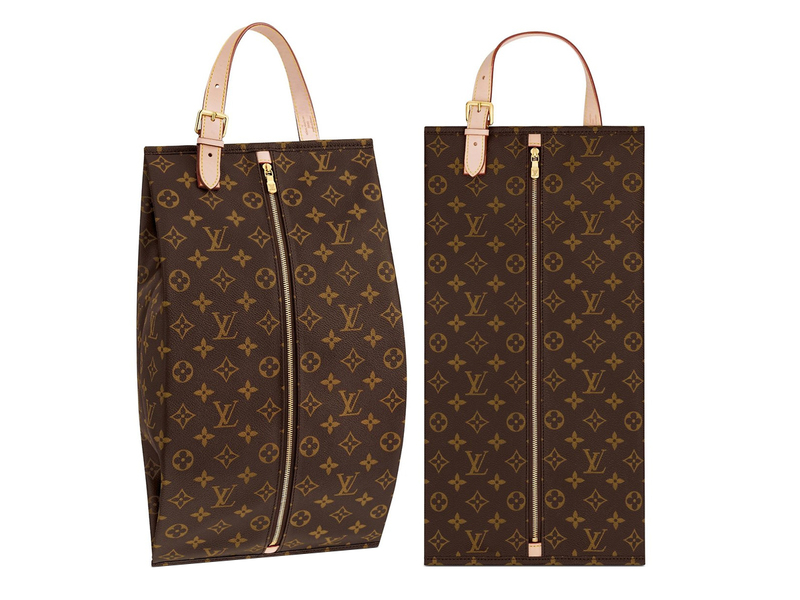 Priced at SGD910, you will find it at Louis Vuitton boutiques in ION Orchard, Marina Bay Sands and Takashimaya Shopping Centre.